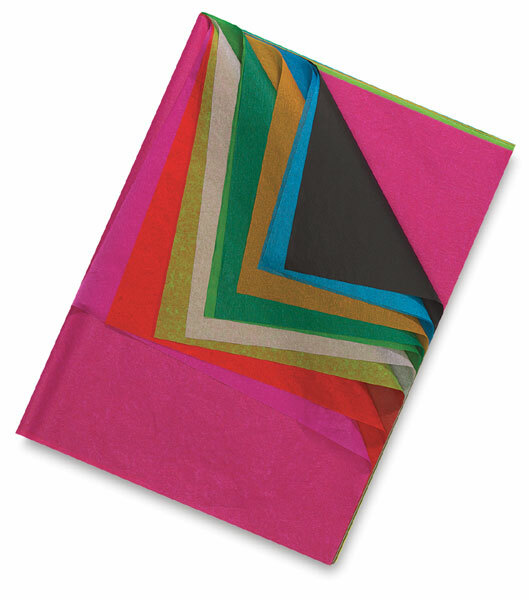 Spectra Deluxe Bleeding Art Tissue is the finest quality tissue made. Perfect for collage, mosaics, flowers, paper sculpture, and many other craft and decorative uses. Colors "bleed" when moistened for tie-dye effects. Cuts, crinkles and folds without tearing. ® Spectra is a registered trademark.™ Art Tissue is a trademark.